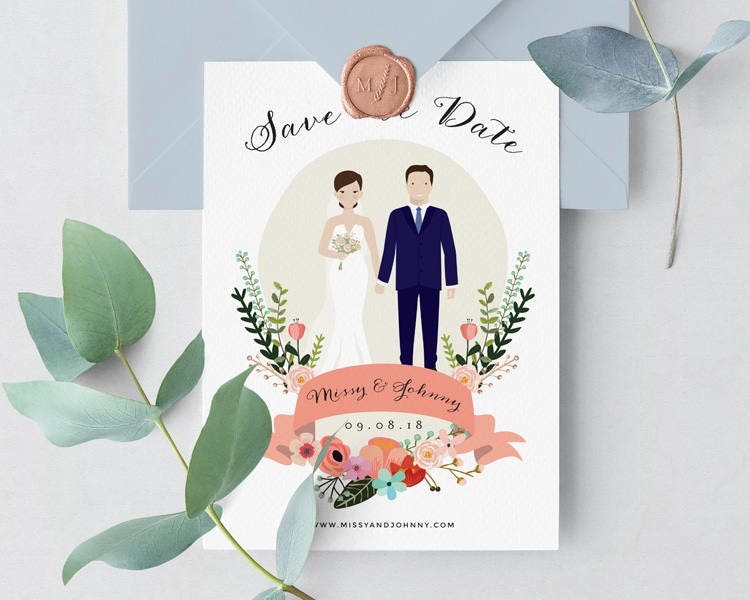 Forgo the Save the Date photoshoot and opt for a completely unique and fun COMPLETELY ILLUSTRATED portrait to let guests know to save the date. A fully custom portrait illustration is totally unique and will wow everyone on your list. You can even add your beloved pets if you'd like! I draw from photos you provide so every detail is completely customized just for you! We can customize the wording and also change colors and fonts. 1. Simply choose the Delivery Method you'd like from the drop-down and add it to your cart - Both Printed & Printable options are available. Printed Card Sets are 5 x 7 flat cards with blank banks + A7 white envelope.